Madison Ceiling Tiles is rated 4.9 out of 5 by 8. Because Madison Ceiling Tiles are the best looking coffered ceiling tiles on the market, they are a customer favorite year in and year out. Made from our Signature Series 0.030 in. 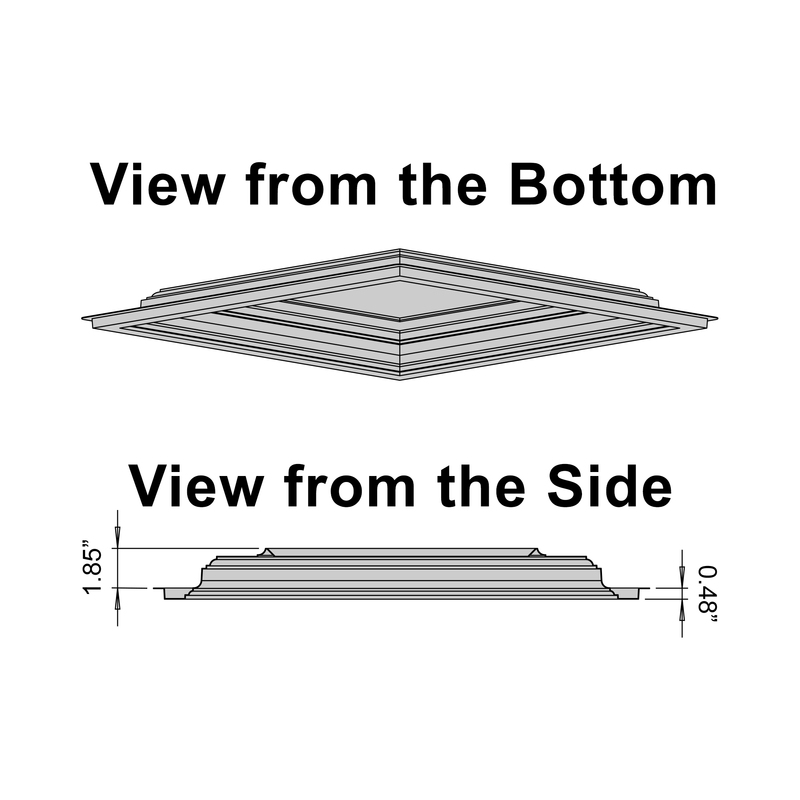 thick vinyl plastic, they will turn your flat ceiling grid into a coffered ceiling masterpiece that looks like a million bucks, but costs a whole lot less. Do the thicker grade tiles (like the Madison) have enough rigidity for a slim LED light (not a can light) to mount directly to the tile? They weigh about 1lb each. Per the International Building Code, light fixtures must be supported by the ceiling grid or the structure above. 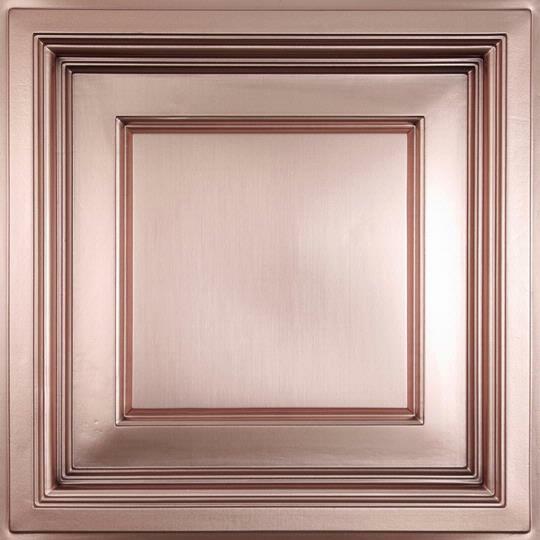 The Madison coffered ceiling panel is made of Ceilume's thicker .030&quot; thick vinyl and may support an LED light, but Ceilume does not recommend this installation as it violates the building code. Are the Madison ceiling tiles a commercial grade product, or residential grade? 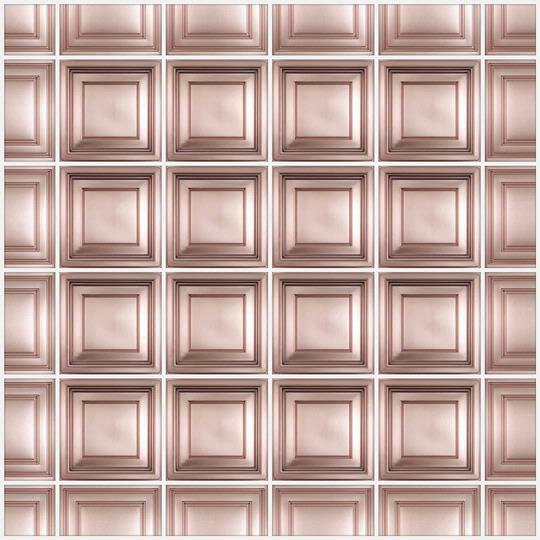 The Ceilume Madison tile is made from our Signature Series 0.030 in. thick vinyl plastic. All of our Signature Series tiles are Class A fire rated, 100% recyclable, completely waterproof, Greenguard Gold Certified for indoor air quality, and made in the USA. For the look of plaster or tin, with the flexibility, durability, and versatility of vinyl - look no further! Could you ship to Portugal? I have approx 740 square feet of celing space, and the room is divided into 2 areas with a half wall between them. I know that the Madison cant be used as border tiles, so which tile would I have to order and how would I know how many I would need? Does this style come in 2x4 tiles? Ceilume would be happy to send up to 3 free full-sized samples so you can make sure you're getting the right ceiling tile for your space. Feel free to give us a call at 800-557-0654 to discuss your project and request samples. We're here Monday through Friday from 6:30-4:430 PST. Rated 5 out of 5 by Liza from Great service and product! We love our new drop ceiling using Madison and Oxford tiles! We have received many compliments already. Ben was great helping me out during the whole process, always answering questions promptly. Shipping was really fast and everything arrived in perfect condition. Absolutely no complaints!!! Thanks Ben and Ceilume!!!! Rated 5 out of 5 by timothy bullock from Love the ceiling. Will send pics when my theater chairs come in. They are scheduled to ship October 3rd. That will be 12 weeks from when I ordered them. Thankfully your shipping was much faster. Rated 5 out of 5 by Smoothliam from Madison Ceiling Tiles We purchased these for our hobby area which has both a high end collection and craft area. Beautiful look and the Madison tile created a perceived taller ceiling. Tiles are high quality and easy to work with and install. Would purchase again and recommend. Rated 4 out of 5 by Phil from Quality/features They are a little flimsy but once up work fine. There isn't a way to mount lights in them without deforming in some way. Thats a big negative since most applications require a light of some kind. Rated 5 out of 5 by mis from overall is good Very nice product, good packed and fast delivery. As a contractor absolutely satisfied. Rated 5 out of 5 by jjm2528 from Sophisticated Look These tiles look great and will perform over a long period of time. Rated 5 out of 5 by Vic from Easy to install We get so many compliments and was easy to install!